Shares of Innovative Industrial Properties Inc. (NYSE: IIPR) rallied Wednesday after reporting better-than-expected fourth-quarter earnings. The stock is following through on those gains Thursday, extending its gain to more than 9% over the past week. 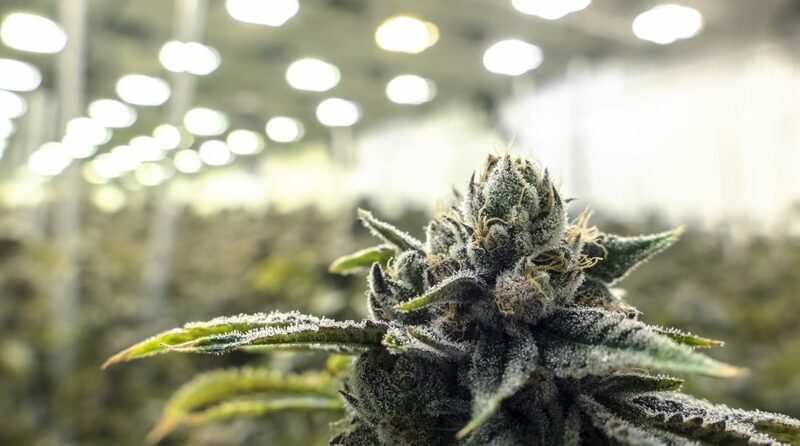 Investors looking to access Innovative Industrial Properties via exchange traded funds may be surprised to learn the stock currently does not reside in cannabis-related ETFs, but one unique real estate investment trust (REIT) fund features solid exposure to the stock. As of Wednesday, March 13, the Pacer Benchmark Industrial Real Estate SCTR ETF (NYSEArca: INDS) had the largest allocation to Innovative Industrial Properties among all ETFs at 5.76%. “As of March 13, 2019, IIP owned 13 properties that were 100% leased to state-licensed medical-use cannabis operators and comprising an aggregate of approximately 1,128,000 rentable square feet (including approximately 159,000 rentable square feet under development/redevelopment) in Arizona, California, Colorado, Illinois, Maryland, Massachusetts, Michigan, Minnesota, New York, Ohio and Pennsylvania, with a weighted-average remaining lease term of approximately 14.3 years,” according to the company. INDS is up 19.53% this year and is beating the largest traditional REIT ETF by more than 400 basis points. For more innovative ETF strategies, visit our Innovative ETFs Channel.